If you are looking for a landscaping or lawn care company in New Bern, NC, to apply mulch to your flower beds or garden, Elks Lawn Care and landscaping has you covered. Our expert team of lawn care technicians is ready to come to your home or business to apply ground cover to your landscape. This can help your outdoor areas look great and can help control weeds. Mulch helps retain moisture which your plants need to flourish. We can apply mulch for you year round, but highly recommend mulch application before spring in New Bern and on the coast. At Elks Lawn care & Landscaping, we do more than just apply mulch. Many of our customers have asked for a mulch delivery service from us, so they can do the application on their own. We’re happy to deliver & supply mulch for any residential or commercial job you may have. We carry high quality brown mulch and charge per the cubic yard. If you are looking for a quote, fill out the form below and we’ll let you know the cost for us to deliver our mulch products to you. Contact Elks Lawn Care & Landscaping in New Bern Today! Elks Lawn Care is more than just lawn care and landscaping. 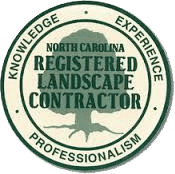 We provide high quality hardscapes (such as outdoor kitchens and fire places), landscape design services, and more to our customers. Our service area includes: Cape Carteret, Atlantic Beach, New Bern, Morehead City and all surrounding areas. If you need Mulch delivered or any of our other services, contact us today or call 252-229-0677.